For the love of wildlife is an animal welfare and volunteer organisation working on banning the cruel industry of captive breeding. Join Ambassador Collette Dinningan and the organisation on the 3rd of March at Bourke Street Mall. 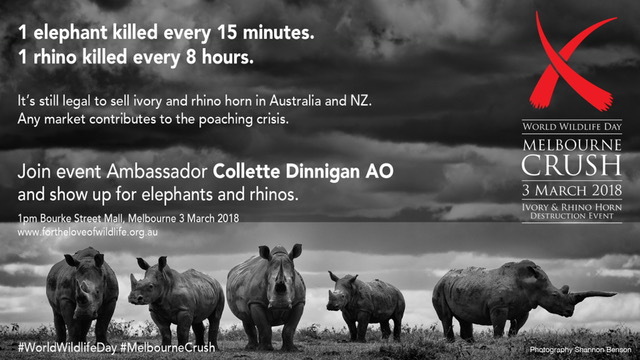 Bring your ivory and rhino horn items to #MelbourneCrush to show their only value is on a living animal.